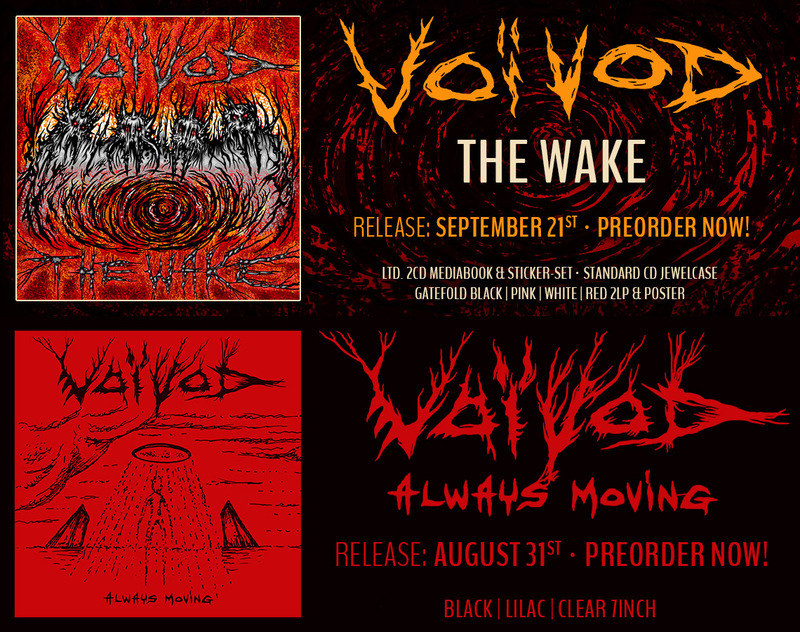 Voivod’s second release for the Hypnotic label (their ninth studio album overall), Phobos, follows the same path the band laid down on 1995’s Negatron. Fans of extreme metal sounds will obviously enjoy it, but will be a bit too much to handle for the crossover audience that the band aimed for on earlier releases. The band (still the trio lineup of Negatron) projects a dense and closed-in sound, a far cry from the three-dimensional music on Nothingface. Although the beginning of the title track may remind longtime fans of earlier material, the dream is crushed as soon as Eric Forrest starts in with his death metal vocal roar. Interestingly, the U.K. import version of Phobos contains two bonus tracks, which prove to be better than the majority of the songs penned by the band. The first song, “M-Body,” is a Jason Newsted (Metallica bassist and friend of the band) original, which contains eerily effective lyrics. The other is a spirited cover of the King Crimson song “21st Century Schizoid Man,” which is tailor-made for a metal band like Voivod, especially since subsequent bootleg tapes of Crimson performing the song live show them taking a heavier approach at times. Still, just two worthwhile songs doesn’t warrant purchase, especially since they can only be found on the more expensive U.K. import edition. Behold, the sea is silent, yet metal bands refuse to be. Voivod: Canadian heavy hairy boys operate within their own universe and parameters, somewhat like Canada itself. This is “ominous” music laced with special effects and reminiscent of the snarly moods of Blue Oyster Cult (true, everything reminds me of BOC). We know you need demon voices; well here they are, as well as spongy drums and cornpone Metallica riffs; the band’s insularity also bequeathed them their bent for odd melodic turns; they do ugly time signatures too, and cover “21st Century Schizoid Man,” averagely. Away and the guys are following up the success they had with the superb “Negatron” album. They haven’t gone old if someone were afraid about that. They are as heavy as they were on “Negatron” and more experimental than on “The Outer Limits”. Voivod has finally made it, this is awesome. Decibel magazine has this interesting article about how Phobos relates to the rest of the band’s music catalog.